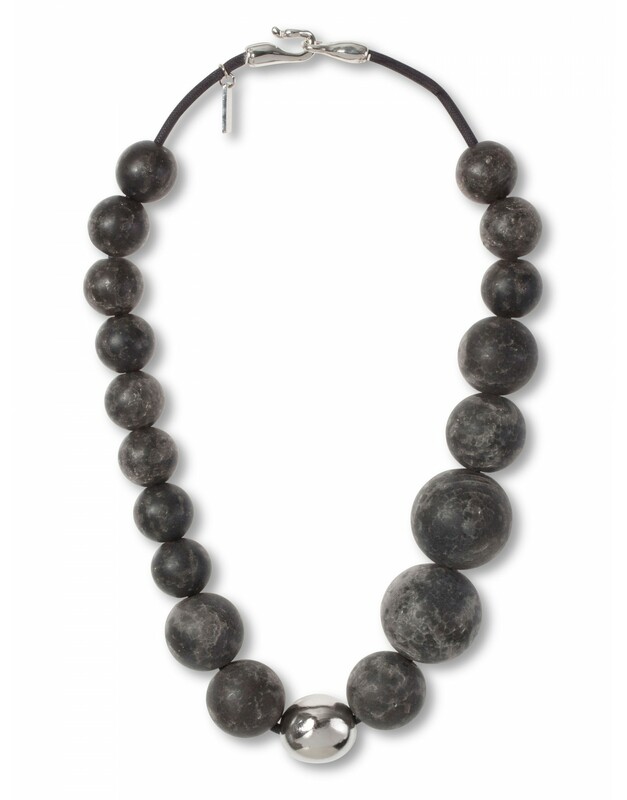 Grey round shaped resin beads and matte rhodium color plated pewter combine to create a tantalizing example of luxurious design. This statement piece highlights your beauty and style. Pair this short necklace with nearly any outfit to create an unforgettable look. Combining grey round-shaped resin with matte rhodium color plated pewter, this magnificent piece is a tantalizing example of luxurious design. This statement piece drawing attention and highlighting your own natural beauty.